In the company Container, d.o.o., the future has been built on the tradition that began in industrial Celje at the end of 19th century. In 1973, the well-known company EMO organised the production of containers for American market and thus the production of containers started. Providing the solutions in transport, energy, ecological and special programme, our products assure simple manipulation of raw materials and control of complex energy systems. The story of each container starts in the development department of the company and in this department we make sure that each story has an appropriate content and conclusion. 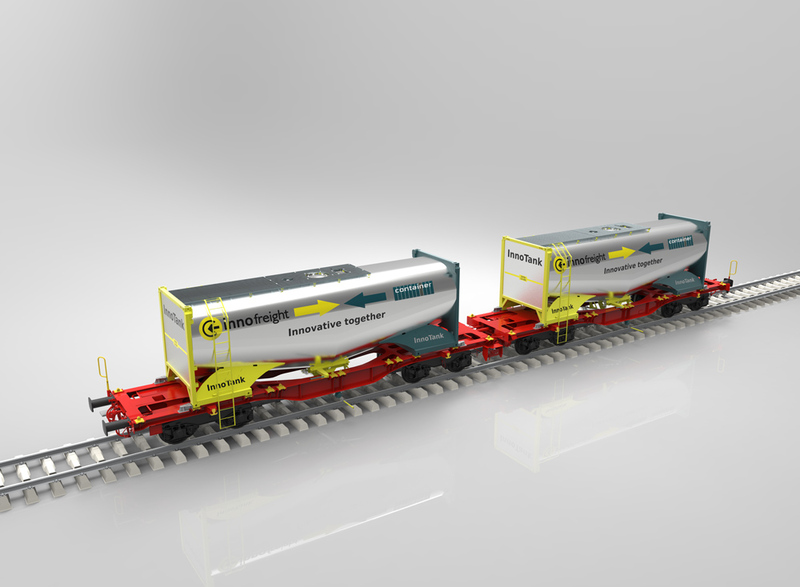 In association with our long-term business partner Innofreight, we developed, tested and delivered two new prototype containers for the transportation of salt (»ChemieTainer«) and wire coils (»WireTainer«). Are you looking for a modern custom made container? Safety is one of the more important values of modern world. 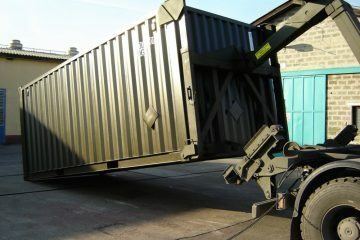 In the company Container d.o.o., we create containers for the transport and protection of military equipment and personnel taking into consideration the safety. In the company Container, d.o.o., the future has been built on the tradition that began in industrial Celje at the end of 19th century. The company Container, d.o.o. was founded in 1998 and it continues the long-time tradition of making the containers. The company is constantly modernising the technological equipment thus being able to meet the market requirements. The company started with the production of municipal programme in the period from 1973 to 2005. 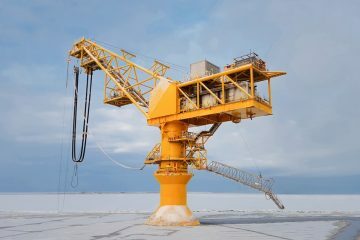 Between 1999-2007, it produced simple transport containers and steel constructions. Nowadays, the production programme includes making of special transport and storage containers, making of containers for ecology and energy and protection systems. In the company, there is a great stress on the quality of the products and processes as on the environmental management and energy efficient resource management. We are aware of the fact that the company is also responsible for the occupational health and safety therefore we are taking care of our employees on regular basis. Our own development, a test room, team work and well organised processes are the basic condition for our flexibility. We offer integral container solutions: from studying your problem to finding the solution for it. If you decide to cooperate with us, you will gain the most. All our solutions are based on high quality along with competitive prices. Thus you will save money and time and solve your business problem. Next to the environmentally friendly technology, our company also contributes to the care for a cleaner environment with the development and manufacture of products intended for storage and transport of chemicals and special waste. The environmental and energy management in the company comprises the complete control of environmental aspects and consumption or use of energy products of production or services. It includes meeting the legal requirements as well as cost regulation, energy efficiency control, efficient use of resources, prevention of environment pollution and meeting the requirements and expectations of business partners, owners and public. SIST EN ISO 50001 – Energy management system. We guarantee for the agreed delivery terms and quality production. The company was intensively restructured in the last decade, thus ensuring satisfactory personnel as well as technical and organisational business conditions, which enable a rapid and quality realisation of requirements and expectations of customers. The company builds its future on the sale of knowledge in market niches at the high level of finishing the products as well as at the high level of quality for an appropriate price. For us, Container is not only a reliable partner in the manufacturing of our containers, but also provides us with ideas and suggestions for optimizing our constructions, which represents a clear added value for us. We are proud to name Container as a long-term partner. 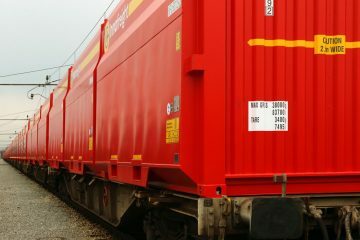 Our company Montan Spedition has cooperated successfully for several decades with Container d.o.o.. Our transport containers, so called MOCO-Montan Container, which are used in combined transport road-railway, are exclusively developed and produced in Celje. Over the years, the quality has improved steadily and Container d.o.o has now a very good reputation internationally. Particularly in the nuclear sector, Container d.o.o is the only manufacturer in Europe, who is able to supply IP-2, IP-3 and Type A containers according to the IAEA. We see the company Container, d.o.o. as a reliable partner in the future. We know that products of high quality can be expected. 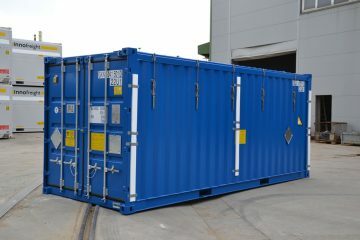 Based on your experience at making the containers, you are the right partner for future development of our containers. In the company Container, d.o.o., the future has been built on the tradition that began in industrial Celje at the end of 19th century. In 1973, the well-known company EMO organised the production of containers for American market and thus the production of containers started. The foundations were laid but the managers face constant challenges on the market and in the development. The company continues with the tradition of more than 40 years of container production. At the beginning, mainly standard models were produced. In the last decade, with a strong support from the development department and investment in technologically highly supported production and professional personnel we have been making more demanding (special) containers. © 2016 Container d.o.o.. Vse pravice pridržane.